This is a particularly exciting year for the Greenaway Medal, with a variety of formats recognised in the top 20, including several non-fiction titles, which is most welcome. I will be doing short reviews of all top 20 titles in the run-up to the shortlist announcement on 16 March, and here is the first installment. Pete the badger loves a good tidy and clean-up. But when one lives deep in the forest, it is not an easy task. From snipping off flowers that don’t quite match the others to polishing rocks, there is quite a lot to do. When Pete takes to hoovering dead leaves, things take a turn for the worst, as leaves continue to fall (it is autumn after all), and Pete decides the only way to keep the forest tidy is to get rid of trees. Pete’s obsession spirals out of control, and soon the forest is replaced by a concrete jungle. But it takes for Pete to be left hungry and homeless to realise what he has done. 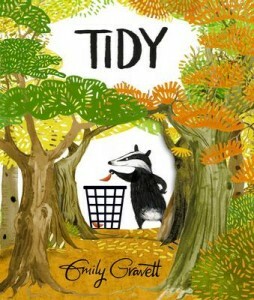 Emily Gravett’s talent for drawing charming anthropomorphic animals allows this book to carry a serious theme while never being too somber. Her use of colour conveys particularly well the natural beauty of the forest, which she contrasts with browns and greys post-tidy which brings a powerful message about how our urbanisation affects the environment. The double-spread with the huge pile of rubbish bags is particularly powerful at conveying the effect we have on nature. All ends well for Pete who, with the help of some woodland friends, manages to reverse what he has done, which carries the message that maybe it is not too late to reverse some of the damage humans have done. 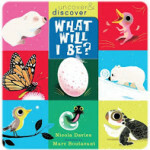 Smith’s exploration of what it means to belong is full of cheekiness and quirky collective nouns which will delight young readers. The opening scene shows us a child amongst a tribe of kids of the goat variety and concludes with the child joining a tribe of kids of the human variety. As the narrative develops and the child journeys across natural habitats, coming across flora and fauna and trying to emulate their behaviour in order to fit in. This results in some funny situations but also highlights the obvious longing of the child to be included. Smith’s use of colour is superb as his use of panels; his alternating full spreads with panels of different size conveys space particularly well. There is a dream-like, almost whimsical feel about the book created by the artwork, which softens the underlying message of finding one’s place in the world. This is emphasised also by the use of negative space in the spread prior to him meeting the other children. 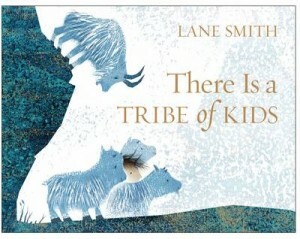 There is a Tribe of Kids is a great example of a picturebook where the meaning is drawn exclusively from the artwork and allows for children to build their own interpretations, allowing for greater scope as to what the story might symbolise. 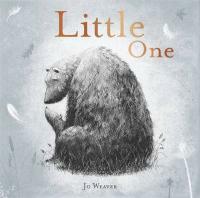 This stunning tale of a year in the life of a mother bear and her cub, beginning and concluding in the warmth of their winter den, is stunning in its tranquility, delicacy and utter simplicity. The dynamic between mother and cub is reminiscent of a human mother and her child, with the cub growing increasingly independent yet still needing the closeness, and the tale explores this relationship in a very evocative way. The story is also about growth and discovery and there is a lot for little readers to learn about bears, their habitats and their way of life. The artwork is completely in black and white, using charcoal, creating a monochrome world. This is a brave move, particularly when so much of the story draws from its wild setting. Yet by stripping away the colour, readers are almost forced to focus on other things, specifically the relationship between the two characters and the emotions that flourish from this. Weaver’ style is wonderfully warm, and reminds me of a cross between Catherine Rayner and Komako Sakai. An accomplished debut. 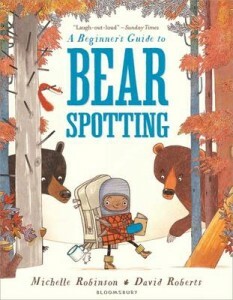 A field guide /cautionary tale for budding bear spotters, this zany tale of a child (ungendered, which is refreshing) in search of adventure is in turn hilarious and rather ominous; however it strikes the right balance between the two, allowing the tale never to become full-blown scary. The humour works perfectly, with the author taking an active role in the narrative, instructing the child directly. The rather ambiguous ending, à la Klassen, is both funny and creepy but works wonderfully thanks to Robinson’s deadpan writing style which runs throughout. Roberts’s illustrations are full of humour and wonderful details, with a limited palette of autumnal colours carried throughout. His incredible range can be witnessed when looking at the more scientific drawings of bears, distinctive not only in their style but also with the use of graph paper for background, obviously recreating the pages of the field guide. Despite the tongue-and-cheek feel of the book, Roberts’ artwork retains its stylish demeanour; Robinson and Roberts are a match made in heaven, and A Beginner’s Guide to Bear Spotting demands repeated readings. 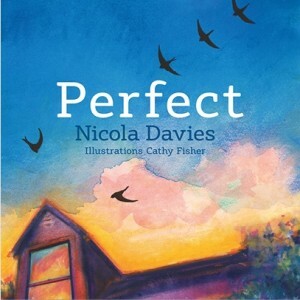 Perfect is a sensitive, lyrical and emotive exploration of a child’s feelings when confronted with the arrival of a disabled sibling. The difficult theme is conveyed wonderfully by using the parallel story of the visiting swifts. They perch in the roof just above the baby’s room, and this where the child waits for them to return from their trip South, while also waiting for the arrival of a little sister. Both arrive on the same day, the swifts as magical, playful and fascinating as ever, but the little sister not quite as the child had expected. He struggles with his feelings until one day he comes across an injured fledgling swift, giving him a new outlook on what ‘perfect’ really means. This thought-provoking tale does not shy away from some very tough themes which spark discussions on disability, the perceived ideal of perfection and family dynamics. The artwork is stunningly evocative and really powerful, not only in its use of colour, but in the imagery used (for example, the use of lines which looks so very much like barbwire around the baby’s cot).